Home > Financial News. Simplified. > Should You Be Investing in ELSS At The Beginning Of The Financial Year? Doesn't the quote hold true, especially while investing? Simply because the equity market is highly unpredictable and timing it isn't the right approach. 2017 was a good year for those who had invested in the markets. 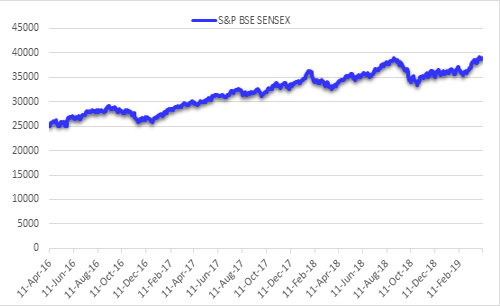 But the drastic fall in 2018, as you can see from the graph below, proved that one cannot time the market. It's fascinating to see how, as on April 9, 2019, the market bounced back to show signs of an uptrend. But considering India begins its election rounds, the market could move either way. Hence as an investor, remember that 'time in the market is important' and 'not timing'. Graph 1: In which direction will the Modi fever pull the markets? Investing in equity has long term benefits if you don't track how the market moves and instead focus on your investment objectives and long-term financial goals. As you enter in a new fiscal year FY2019-20, start tax planning and investing for the entire year. Avoid procrastinating till the last minute to save tax, for the elections fever to subside, or the upward movement of the markets. Last minute ad-hoc investments will allow you to save tax for now, but without actual long-term benefit. This approach to investing can affect your overall financial health. Instead, invest in a way that provides tax benefits and grows wealth over a long period of time. If you are willing to take risks, opt for Equity Linked Saving Scheme (ELSS). It is also known as a Tax Saving Fund as it qualifies for tax exemption under Section 80C of the Income Tax Act and has a diversified portfolio. The returns clocked by some ELSSs over the long-term (3 years and more) indicate, that they're not only advisable for tax planning under Section 80C, but even addresses your long-term financial goals. So, effectively by investing in ELSS, you could hit two birds with one stone. For those of you who aren't aware of ELSS; it is categorised as the equity mutual fund holding a diversified portfolio and usually is market-cap and sector agnostic, as per the new categorisation norms. In layman's term, ELSSs aren't normally skewed to a particular market, capitalisation segment, or sector. In terms of investment style, ELSS may be of any genre. The fund may follow a growth or value style or even a combination of both. As I mentioned earlier, an ELSS does carry a high risk, so be mindful about the fund that you add to your portfolio. An ELSS has a mandatory lock-in period of three years, hence you should be extra cautious when investing in ELSS or any tax saving fund because if you pick the wrong fund, you will have to bear the cost of underperformance for the entire period. *Please note, this table only represents the best performing Equity Linked Saving Schemes based solely on past returns and is NOT a recommendation. Mutual Fund investments are subject to market risks. Read all scheme related documents carefully. Past performance is not an indicator for future returns. The percentage returns shown are only for an indicative purpose. Speak to your investment advisor for further assistance before investing. Although there are various funds available, the performance of each fund varies (over the years). A top ELSS fund in one period may not necessarily be the best ELSS fund for the next period. From the above list of top funds that have done well in the past. Mirae Asset Tax Saver Fund and Canara Rob Equity Tax Saver Fund have been performing consistently as compared to the performance of other schemes over different time periods. Thus, to pick the right ELSS fund, select the one that has performed consistently and generated a superior risk-adjusted performance. It's advisable to give importance to the ELSSs that have a consistent performance track record and follow robust investment processes & systems at the fund house. Besides, do consider the qualitative aspects like fund house pedigree, investment process, quality of the fund management team, among others. 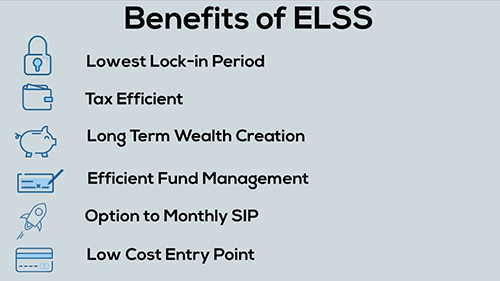 The right ELSS fund in your investment portfolio with a lock-in period of three years will help grow wealth vide the power of compounding; and over the years, equity investments have proven to be beneficial. Plus, you get tax benefit under section 80C. You can invest either lump sum or vide SIPs (Systematic Investment Plan) . Just remember that every SIP instalment will be subject to a lock-in period of three years. However, to mitigate the volatility of the equity markets, SIPs are a worthy route because it provides the benefit of rupee-cost averaging. ELSSs or tax-saving funds are ideal if you have a high-risk appetite and a long-term investment time horizon of at least three years. You can invest in direct plans as it reduces your expense outgo with a minimum investment amount of Rs 500 and no upper limit. Before you invest be mindful of your financial goals, investment time horizon, and risk profile. If you are unsure about how to align these schemes with your tax planning or financial goals, consult your investment consultant/advisor. 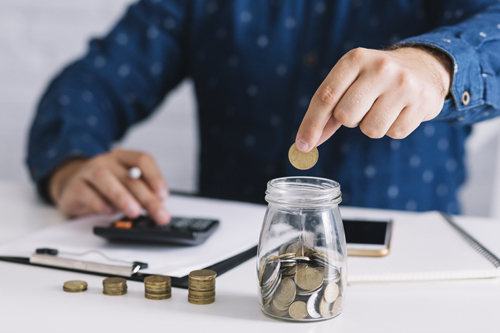 If you are looking at the ways you can save your hard-earned money from the tax-man legally, and reduce the tax burden, PersonalFN's Comprehensive Guide to Tax Planning (2019 Edition) may be of help. This Comprehensive Guide to Tax Planning is absolutely FREE. Editor's note: If you aren't sure about which mutual fund schemes to invest in for your tax saving needs or for SIP, don't worry! PersonalFN is offering three of its premium reports at the price of one. These research reports will guide you to select worthy mutual fund schemes to invest in via SIP, the ones that have the potential to provide BIG gains, and the ones most suitable for your tax planning this year. Click here for PersonalFN's recommendation and subscribe now.